Setting up a website for donations can greatly increase the takings of a fundraising event. Websites can maximise publicity for an event and there are a number of easy ways to create online fundraising pages. There are definite advantages to setting up a fundraising website. Donations can be made directly to the site from the public, which can then be paid into a nominated fund bank account. Fundraising events can be publicised to a wider audience and the website is a place that interested donators can visit and obtain information. Websites can also promote loyalty with donators returning repeatedly to contribute. Sponsors such as local businesses will also donate to fundraising events if their name is mentioned on the fundraising website. Fundraising websites needn’t be complicated but advice may be needed to ensure a professional looking website. There are a huge number of web hosting providers that will allow fundraisers to set up a web page for free. Many of these websites claim that a web page can be set up within minutes with no technical experience necessary. Fundraisers may want to avoid web hosting sites that place other business adverts on their webpage. A fundraising website will also require merchant tools to take payments; online payment tools such as Paypal are invaluable and very easy to implement. There are quick and easy ways to create a fundraising website. Anyone with their own computer and Internet Service Provider can create simple web pages. For beginners this can seem daunting but there plenty of internet resources that will guide the beginner through all of the necessary steps. Web hosting providers are the best place for beginners and they will provide quick and easy tools for uploading text and graphics onto a web page. Typing in ‘free web hosting’ into an internet search engine will bring up a list of web hosting providers. Although it may sound strange it is a good idea to publicly advertise a fundraising website. This can be achieved easily and inexpensively by advertising through local radio stations and newspapers. Making people aware of the fundraiser and the website address in this way will direct more traffic to the website. Sending out emails to local businesses can be another way of finding sponsors and spreading the word of website. Promoting fundraisers on social networking sites such a Facebook or Myspace is another excellent way to gain publicity. There are big advantages to promoting a fundraising event through an established charity website. Websites such as Charities Trust will allow fundraisers to set up there own fundraising page. This can include details of the event, photographs, and an online ‘totaliser’ graph that rises with the amount of money donated. Members of the public can donate money through the web page straight from their bank accounts. Donators can choose to remain private or have their name placed on the web page along with the amount donated. Online payment organisations such a Paypal can help with the payment aspects of setting up fundraising websites. This can include helpful tools such as donation trackers, donating through social networking sites and streamlining the payment process from donator to bank account. 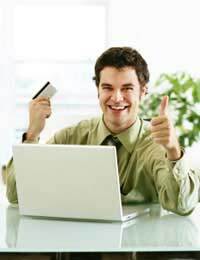 Charity banking institutes can also help streamline payment methods through their websites. Fundraisers should compare any fees and charges that are applied with setting up a bank account specifically for fundraising. The internet is one of the major ways to advertise fundraising events. It is important not to underestimate the benefits that a professional website will bring. The more professional looking the website the more donators will be drawn revisit the website. With free website creation and hosting available this is one inexpensive tool that will be invaluable to fundraisers.